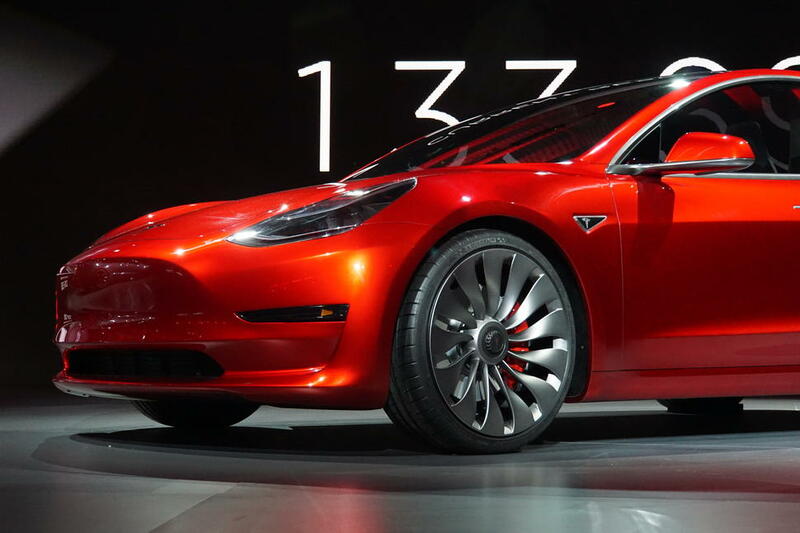 Tesla currently manufactures and sells three EVs – the Model S sedan, the Model X SUV and the Model 3 sedan. Tesla does not release regional sales figures. But that’s not going to stop us from giving it a shot, isn’t it. So here it is, a compilation of data from various third party sources lavishly garnished with guesswork. In 2017, Tesla delivered 101,420 Model S and Model X vehicles and 1,764 Model 3 vehicles. 2018: In the first eleven months of 2018, Tesla reportedly sold 159,067 Model S, Model X, and Model 3, which is nearly four times the 41,179 units the company sold last year during the same period. If we assume average price to be around $120k, Tesla must have sold +16,500 units in China. 2018: In Europe, Tesla has sold 21,412 Model S and X in the first three quarters of 2018, compared to 19,335 units the company sold last year. Norway: The Nordic nation briefly lost its third largest market for Tesla tag to the Netherlands in July and August. Tesla sold 838 Model S and X in the Netherlands, way higher than the 295 units the company sold in Norway. Tesla sold 2,016 Model S and Model X in September 2018, slightly better than the 2003 units the company sold last year. 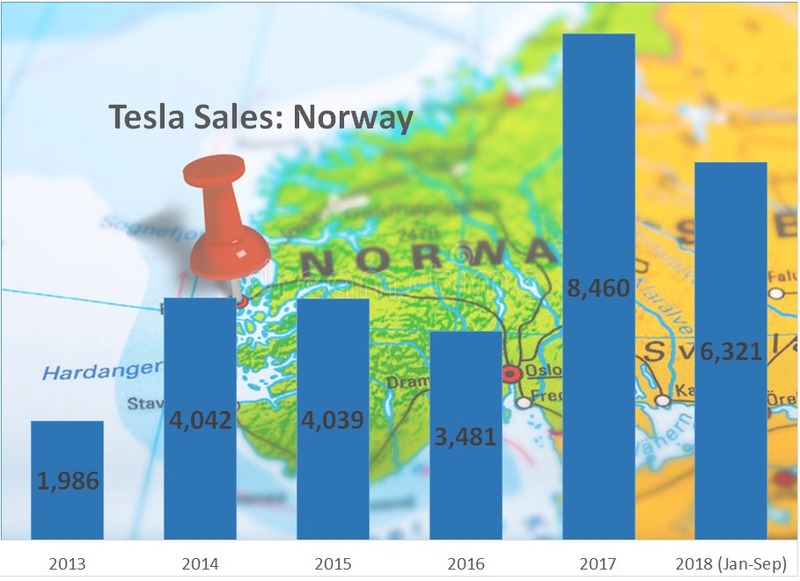 If Tesla manages to repeat its 2017 fourth-quarter performance, the company will still end up reporting growth in Norway this year, as the company has now sold 6,321 units in the first three-quarters of 2018 compared to 4,719 units the company sold during the same period last year. Netherlands: The Western European nation with a population of 17.2 million become the third largest market for Tesla in July. The electric car maker has sold 5,291 Model S and Model X in the Netherlands this year (January 2018 to September 2018), which is nearly three times the 1,896 units the company sold during the same period last year. 2018: Tesla has sold 2,012 Model S and Model X in the first three quarters of 2018, compared to 2,502 units the company sold in the same period last year. Tesla has sold 4,295 Model 3 in the country so far this year. 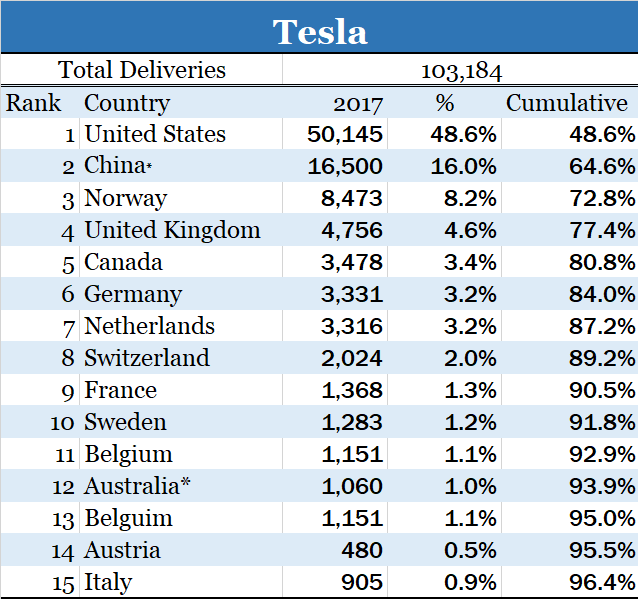 US, China and Norway accounted for nearly 73% of Tesla’s sales in 2017. Model 3 deliveries will not change the equation in 2018 as most deliveries are expected to happen in United States.